How do you say this? And that? Would it be better to use this other verb? Can he understand me? Will he understand me? What if I'm wrong? Isn’t he too small? Should I still wait a little bit more?... And one of the questions that worried me the most: What will people think? My friends, my relatives, the people who see me on the street talking to my son in English without being native, what do they think? On the one hand, I have always said: It doesn’t matter! I think it is something positive and I want to do it. There are thousands of opinions and you can’t please everyone. But on the other hand... no one likes being criticized. In particular, I was a bit worried about native speakers’ opinion. I used to see on the street many native English speakers and it was then when I wondered how I would feel the day that I had to speak English to my son in front of them. And that day came, and that day I didn’t feel comfortable talking to my baby in English. It was on a trip to Brittany. How beautiful, by the way! In one of the small towns we visited in the area of ​​Concarenau I realized that there were many English speakers. We sat down to eat on the terrace of a restaurant and everything was normal until I realized that the couple we had next to us were British. I felt uncomfortable and did not want to talk to my little boy, I was very embarrassed.... The fear was mainly talking to him and making mistakes or saying things that would sound a bit strange to a native speaker. I gathered my courage several times and talked to my son, but when I did, I felt I could be judged. What nonsense!... but I couldn’t help feeling it. 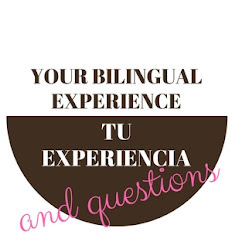 What would I think if I saw a person speaking to their children in non-native Spanish? I have never seen anyone doing it, but I would like to experience it from the other side. However, something that I have learnt since I am a mum, is that there are many different ways to raise our children and that they all have something positive and at the same time, none of them is perfect. There are many ways of thinking. I think it is necessary to put ourselves in the shoes of those people that we are going to comment on in order to be able to do it with rigor, and even then, we will be leaving important factors that we ignore about their family or about their education or about their experiences. Our opinion will always be a bit biased and affected by our own experience. There is a saying in English that says: Do not expect everyone to understand your journey. Especially if they've never walked your path. I know these thoughts don’t make sense. They are a waste of time and energy. I know I need to be stronger and I have to work to improve my attitude and feelings for when this happens again. Luckily my day to day speaking to my son in English is going great, I feel relaxed, I feel he is paying more and more attention to me and he likes to hear me speak and sing to him. He is still very small, but he is growing so much and so fast that I think he will begin to understand what I say soon. Hi! Great post! I'm having a baby in two months and I'm at the same position: should I talk to her although I'm not native? I mean, I have a good level but you know, I'll never sound as a native does. How hard is it? Don't you miss talking your baby in Spanish? Hi Ivan. First of all, congratulations! Just two more months and your baby will be with you. Hard? I’m not gonna tell you it is a piece of cake. At the beginning, the first couple of months are hard. Mostly because, even if we have a good command of English, we struggle quite a lot with the vocabulary and words used with babies. It is also hard to be self-confident all the time. And when you are surrounded by family or friends it becomes a bit odd too. But if you know why you are doing it and you believe in it, it is not that difficult. Besides, there are other families that are doing it, and we can help each other and learn from others’ experience. I talk to some parents raising their children using English and we all have the same fears and questions. Do I miss speaking to my son in Spanish? No, I feel great talking to him in English. I express my feelings fine: I hug him, kiss him, sing him, praise him… Although, I had to learn vocabulary to sooth him and some rhymes for babies. 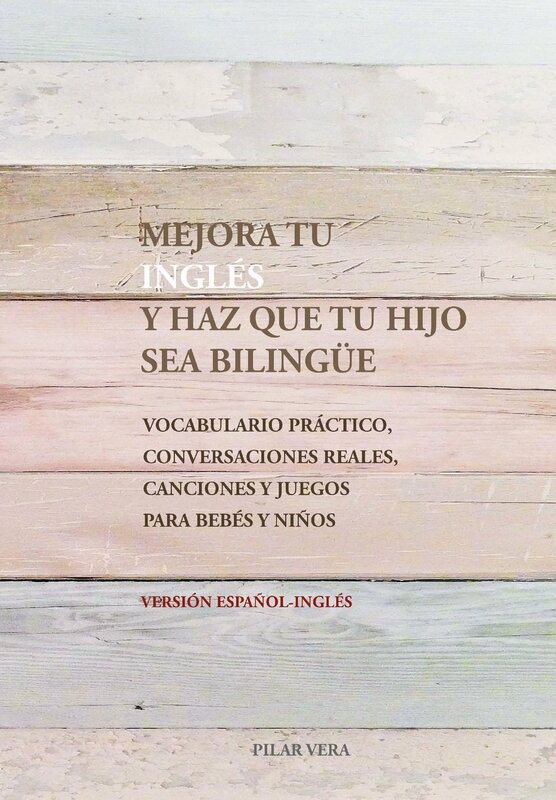 I have to tell you another thing: I say some things to my son in Spanish, for example, when he is so cute that I could eat him, I tell him: ¡guapo! ¡Ay, que me lo como! And I also sing Spanish songs like: al paso, al trote, al galope, or palmas palmitas. I don’t think this is going to interfere negatively, as they are just traditional songs and a couple of caring words. Who knows… we try to do our best. I encourage you to start learning vocabulary for babies and don’t get anxious to start from the very beginning. If you feel like doing it, do it, but if you are not ready when he is born, you can also give yourself some time. I started when he was two months old and I know other parents that have started even later. But if you eventually do it, be constant. I send you lots of love for your family and lots of energy for the first month with your baby which can be a bit tiring. Hi Iván, how is it going? ?